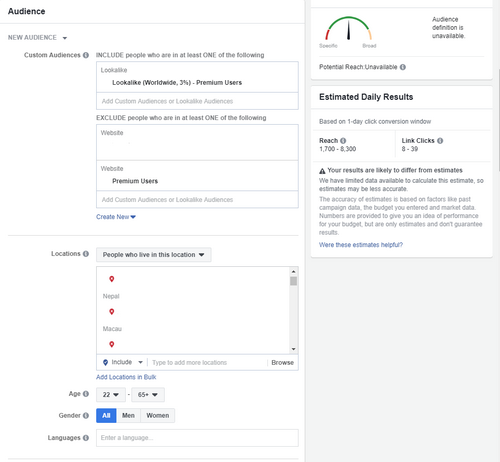 Facebook targeting changed the world of advertising forever, and it has lots of advantages for advertisers, but you have to be familiar with how the platform works in order to understand all the metrics and have successful campaigns. One of the risks you take when advertising to a specific audience is the so-called "Ad fatigue". You might have noticed some ads appearing over and over again in your own newsfeed, making you feel like the brand is constantly following you. Here's an example of how a typical Facebook Ad performs over time. As you can see, results keep increasing until they reach a point where ad fatigue comes into play, then they start performing poorly. Now that we've got your attention, let's see what we can do to avoid ad fatigue: join us for a short read to find out what to do to overcome it and make sure you get constant great results with your ads. Here are 10 of the most simple ways to improve your ads and get constant results. The thing users remember the most about your ad is your ad visual, and if they see it too often, they might end up ignoring it, or even worst, hiding it from their newsfeed. A simple way to overcome ad fatigue is creating a new banner. If you don't have design skills or you don't want to spend more working with a designer, you can use a design tool like Bannersnack, that can help you edit your own visuals in minutes. You can duplicate the same design and only change the background or copy, to save time. 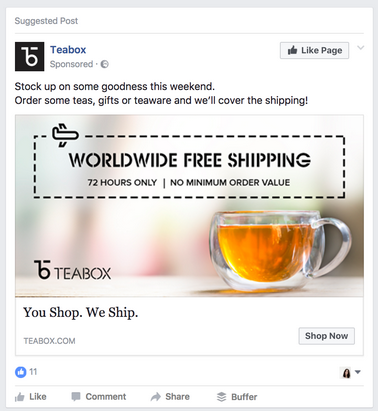 Creating a highly converting Facebook ad design can be a piece of cake if you start from a Facebook banner template and add your own elements. Here's a great example from AdExpresso - they always play with new visuals to see what works better. According to them, even solutions that appear silly might work, like flipping around the images on the ad creative. The copy is one of the things that can make or break your ads. You already know that you should change it often, and always use A/B testing to see what text converts better. But it's important to know that even if you found a winning phrase that gets great results if you'll stick to it for too long, it will start fading. Make sure you change the headline and description of your ads every once in a while to avoid ad fatigue. As a marketer, you always want to make sure your ads reach the audience that best matches your product or service. But if your targeting is too narrow, you risk showing the same add too many times to the same audience and the chances of converting will keep decreasing. Keep an opened mind when it comes to targeting, experiment crossing different kinds of audiences, based on location, interests or behavior. Use more versions of the same ad and rotate them to make sure your audience gets new texts and images every time. Rotating your ads can help you make sure you showcase something new, even if the audience is the same. You can rotate your ads manually, by simply pausing your campaigns after ad fatigue gets installed, duplicate them and start new ones with a different visual or copy. You could also use third-party apps like Qwaya to rotate the ads for you. 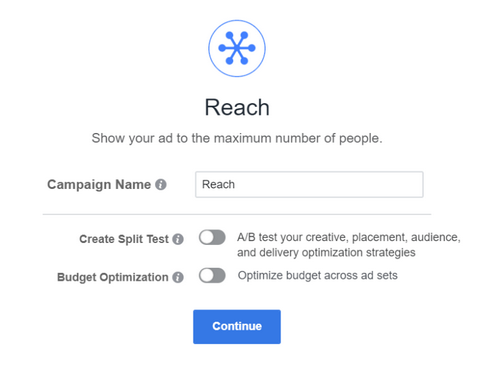 Right from the start, when you set a Facebook ad, you can choose the campaign objective according to your main goals. The algorithm will optimize the targeting and the way it displays your add to make sure you reach your objective and stay within your budget. But, even if for most marketers the final objective is selling, there are many more micro-objectives that can lead us there. Shift them to make sure your ads stay fresh and you can reach new audiences. For example, if you have a small local business, you can go for the traditional geographical targeting to reach your city and the nearby areas, or you can just promote your location by showing your ad on mobile devices to people that cross that particular area. If you want to promote your E-commerce on Social Media, you can run campaigns optimized on traffic or shift to conversions to get relevant traffic. If you work with bigger brands, you can set brand awareness or reach objectives to make sure your brand gets a wider audience before you narrow down your buying funnel to conversions. To start conversations and grow communities you can ideally go for engagement based campaigns, but you could also shift your objective to video views and start your conversation from there by adding a great CTA. If someone already engaged with your add, or even converted by buying something from you, it would be ideal to exclude him for further seeing your campaigns. This is especially true for remarketing campaigns, where if you fail to do this, the clients who already bought from you will still get the ad even after they made the purchase. 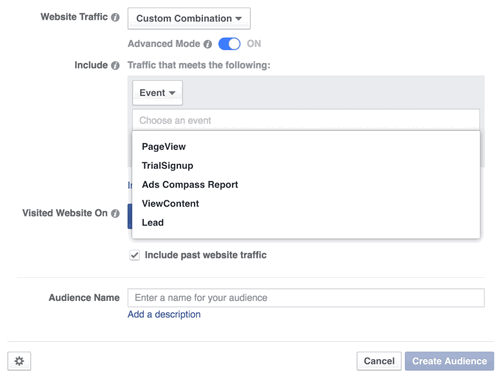 Use Power Editor's advanced features to exclude certain custom events within your campaign, this way you can get the best possible results without reaching people who already engaged. You can use more then one format to create your ads, and possibilities are endless if you use your creativity. Video is one of the best-converting ad formats in 2018 since it engages more easily with your audience and gets their attention fast. If you find that video is expensive or time-consuming for your niche, try animations. They have the same advantages, but they can be created within minutes by simply setting some transitions to your design elements. Retargeting is a great tool to recover lost shopping carts or target users who haven't decided to buy yet, but it can lead to Ad Fatigue quite fast if you don't keep your budgets and targeting rules under control. You can keep budgets low to make sure you don't show the same ad too many times, or you can set some specific rules to your ad. To fight ad fatigue, you could improve your value offer and keep people interested in your brand. The number of ads keeps growing on Facebook, so you have to make sure yours stands out and answers the "what's in it for me" question clearly. While in Social Media it's great to tell a story, a Facebook ad might be the place where you need to hook your audience fast and get to the point from the first words. Here's a great example of a clear value offer on a Facebook ad. One of the best things you can do to keep your Facebook ads fresh is advertising for different products or services. You can even separate ads for them and choose different targeting options, to make sure you don't reach the same people and you get to a wider audience. Every business has a few "superstar products", that bring most of the company's revenue, but keep in mind that ultimately new products mean new opportunities to diversify your content and business. Advertising new products to new audiences may come with a small risk, but with proper testing, it can help you grow and improve your business. If your product range is limited, you can always create seasonal offers for them. As you can see, there are many ways to keep your ads fresh and make sure users don't start skipping or hiding them, all you have to do is use a data-driven technical approach, while keeping an opened mind and using your creativity. Use one or more of the techniques we presented to combat ad fatigue and you'll almost certainly never get a low relevance score again!